At the Institute of Culinary Arts (ICA), 2017 marks 21 years of outstanding training, inspiring world-class culinary arts graduates and professional chefs to set benchmarks, push boundaries and breathe innovation into the culinary industry. 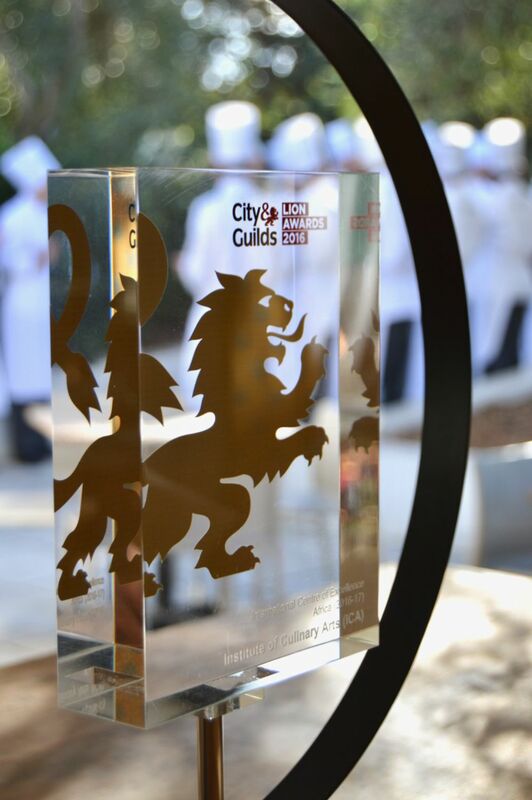 Recognizing the institute’s exceptionally high standards, international vocational training leader, City & Guilds, have acknowledged the ICA as one of the 3 BEST chef schools in the world! No less than ten thousand training facilities across the globe were externally verified and scrutinized for constant outstanding training deliverance. Only 3 international chef schools – world-wide – have met the utmost criteria of excellence and the ICA proudly stood out as the Centre of Excellence for Africa. Competing against schools with intakes of thousands of students each year, the ICA, with its intensive training ethos of lecturer-to-student average ratio of 1:6, counts as one of the most exclusive and focused chef schools in the world, and was awarded foremost Centre of Excellence. Award-winning chefs, trained by the ICA, have over the years dominated SA’s “Eat-Out Best Restaurant” awards lists and more than 20 ICA graduates ranked in the top awards over the past 5 years – an achievement greater than ány other culinary training facility in the country. To be named Africa’s Centre of Excellence pays tribute to the ICA’s true dedication and perseverance in the drive to uphold a simple philosophy of excellence in each and every aspect of the culinary arts, underlining our unsurpassed level of quality and distinction. COURSES OFFERED BY THE ICA includes various 2-year programmes, specializing in Advanced Culinary Arts or Advanced Pâtisserie and the flag-ship 3-year course encompassing both these subjects as well as specialization in Media Communication, Product Development or Professional Restaurant and Events Management. All students undergo international City & Guilds examinations which are recognized and honored in over 100 countries globally and for which the ICA proudly sustains a consistent 100% pass rate!